Three Beers To Cheer Your Summer Suppers As part of the occasional Weekend Edition series Taste of Summer, beer expert Graham Haverfield picks — and Scott Simon drinks — a few of summer's most refreshing brews. Haverfield also has advice on pairing his picks with tasty seasonal dinners. 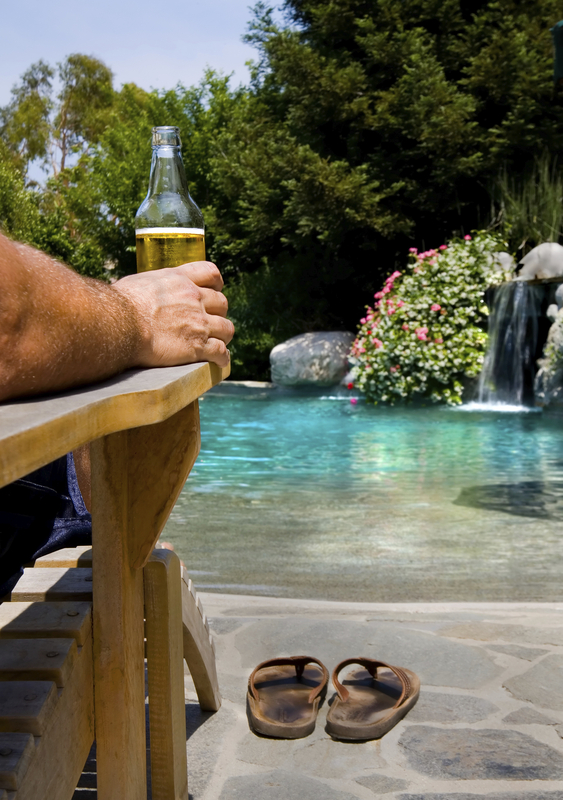 When the mercury's soaring, a cold, refreshing beer can be the best part of summer. As part of our occasional Taste of Summer series, we asked beer expert Graham Haverfield to recommend a few of his seasonal favorites. Haverfield is the beer director for the Wine Library in Springfield Township, N.J. He's also a certified cicerone, or beer server. "Summer beers are typically lighter in body, they're typically a little lower in alcohol," he tells NPR's Scott Simon. His first pick is Last Chance IPA, from Weyerbacher Brewing Company. For the nonexperts, IPA is short for India pale ale, a beer that was first made for British troops in India. The original IPAs were strong stuff, made to withstand the long sea voyage to India, Haverfield says. "The American IPAs are very different from those old styles; these are very light, bright, bitter beers that really accentuate American hops, which are piney and resinous and citrusy." He adds that beers like Last Chance will pair well with spicy summer barbecue. We go across the Atlantic for Haverfield's next pick, the Brasserie Dupont Posca Rustica, from Belgium. "This is a very cool beer, this is basically like a history lesson in a bottle," Haverfield says. "This is beer like it was brewed back when the Romans were in occupation of Belgium." Beer in that era had no hops at all, he adds, making it the opposite of the modern IPA. "They used this mixture of spices and herbs to add bitterness to the otherwise sweet beer." Posca Rustica has a floral, grassy taste, Haverfield says. "It tastes old, not as in not fresh, it just tastes, like, arcane. ... Something like grilled artichokes or rotisserie chicken, anything served at a big table, this would add a great complement to that." Last is also a Belgian-style beer, but it's from Chicago: Goose Island Sofie. It's a saison, a dry, spicy beer aged in oak barrels with a little orange peel. "For me, this really screams seafood," Haverfield says. "Something super light and clean like sushi, or much richer, like crab legs." What's your favorite summer beer? Let us know in the comments.